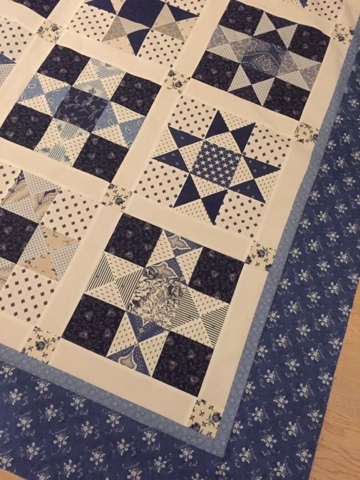 Last week I attended the"Show and tell Monday with Bambi" and she inspired me to start my new Ohio Star quilt. For now it is just a quilt topp and I will show you later the finished quilt. Maybe by summer it will be finished. Bambi has a new show and tell monday today so why not go and visit her for an new inspiration and maybe join in on the fun..
Jag tycker att Du satt samman mycket fina tyger här. Vilken underbar kvilt i härliga färger och mönster!